- PAS vice-president Datuk Husam Musa. Now that the Prime Minister have announced the annual increment to be paid in July 1, and including PDRM and ATM salary scale being raised to be on par with that of the civil service, it is now Pakatan Rakyat's turn to up the wooing game. It was also mentioned that PR will match and improve on any promise by the PM. While competition is good for consumers (and in this case, the people), pledges and promises must be achievable and fulfilled, otherwise they are nothing more than coffee-shop talks. KUALA LUMPUR, March 11 — In an unprecedented move, PAS has moved to pre-empt a last minute campaign by Datuk Seri Najib Razak to woo civil servants by saying that Pakatan Rakyat (PR) would match and improve on any promise by the prime minister to raise salaries and allowances. Najib is expected to announce several initiatives including a pay rise of up to 10 per cent, improved costs of living allowances and housing allowances for the 1.5 million-strong civil service today. 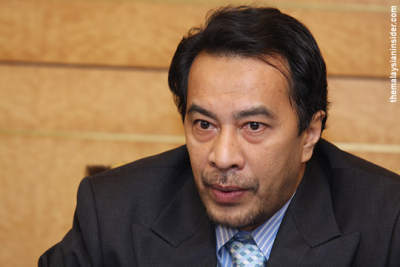 “The PAS central committee met and has taken the stand that any announcement made by the prime minister will be continued when Pakatan Rakyat runs Putrajaya,” PAS vice-president Datuk Husam Musa (picture) said in a statement carried by the party’s Harakah Daily Online. He gave three initiatives to be carried out by PR, with the first one to improve on the goodies for the civil service, including promotion for all civil servants, including teachers, Customs officers, police, military and others. “We will also follow what is done in Kelantan where all housing and vehicle loans for civil servants will not be charged any more with the current four per cent interest rate from the moment PR takes over Putrajaya,” Husam said, adding that there will be a review of existing loans to ensure the government can absorb the financial implications. The third initiative was to review and increase the tax allowances for civil servants and Malaysians who salaries are low, he added. Husam noted the low tax allowances for those with wives and children have prevented civil servants and the public to have enough income in the face of high living costs. Both coalitions are out to court the civil servants, who form a key demographic among the 13.3 million voters who are eligible to cast their ballots in this year’s general election. that's quite a..... healthy competition :D teeehheheehe!